Exclusive for Pioneer Generation Card holder. 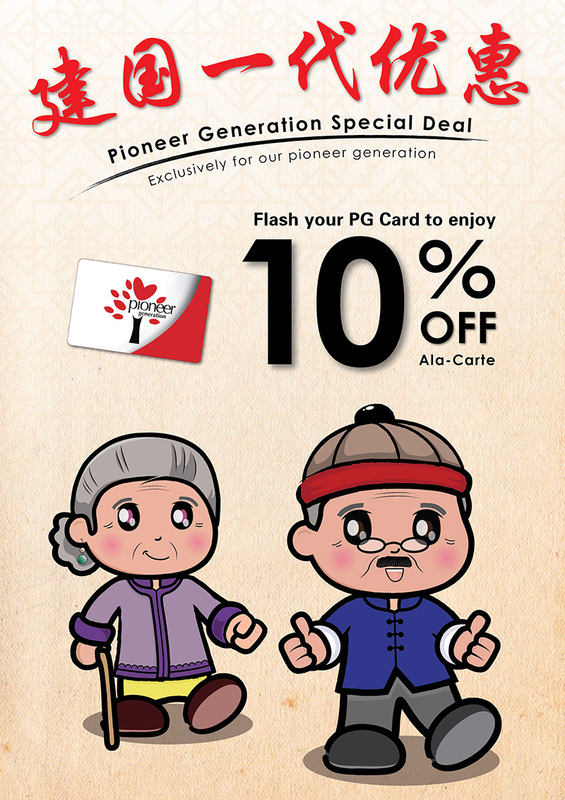 Flash your PG card to enjoy 10% discount! * T&Cs apply. For dine-in only, valid only on weekdays, 11:30am – 2:30pm. Cardholders must be present and actual card must be shown at point of ordering. Management reserves the right to request for verification of cardholder. Not valid with other promotions, set menus and/or discounts. Valid only at selected outlets: Bedok Mall, Junction 8, Lot One, Nex & Tampines.